Like a guardian of the swamp, this Red Swamp Crayfish was not shy about expressing his displeasure with our encroachment on his territory. I found this crayfish as he was walking across the mudflats of a rapidly drying pond. Even though these creatures have gills and breath water, they can tolerate short durations on dry land, as was the case with this individual. As we approached, the crayfish assumed the defensive position typical of these crustaceans. Front appendages spread wide, pinchers open and ready to latch on to any vulnerable soft spot—ready and willing to take on four grown men. Clearly this crayfish was not in a good mood. Perhaps this Red Swamp Crayfish (Procambarus clarkii) was grumpy because he knows that he and others of his ilk are the most commonly farmed and marketed crayfish in the world. 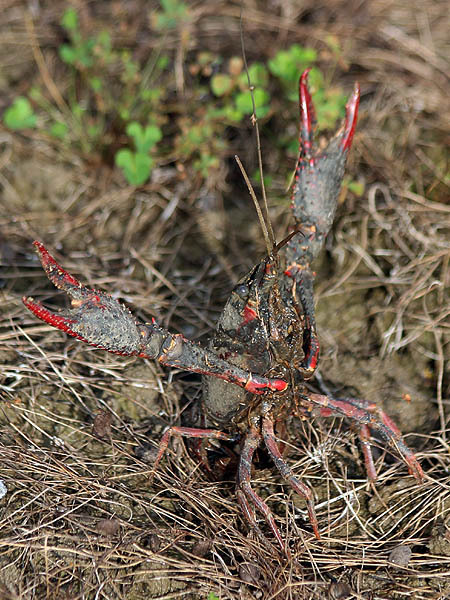 When you dine on crayfish etouffee, this is likely the type of crayfish you are eating. 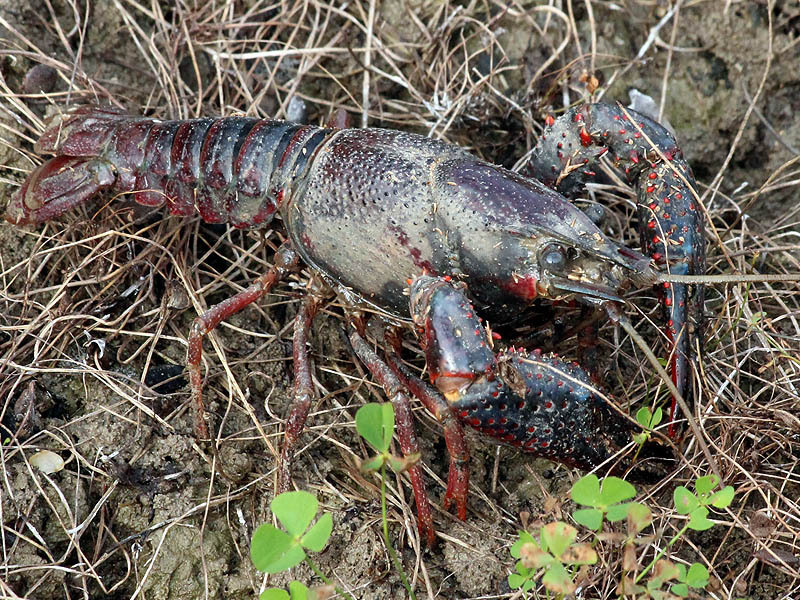 Harvests of P. clarkii account for a large majority of the crayfish produced in the United States and elsewhere. Crayfish farming began in Louisiana in the 18th century, taking place in rice fields in a concurrent or alternate culture system. The concurrent culture of rice and crayfish makes use of land, resources, equipment, and infrastructure already being used for rice production. 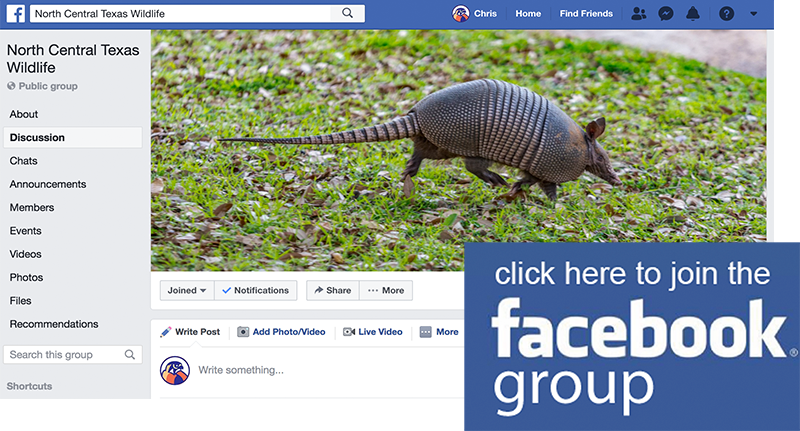 However, crawfish production has decreased in recent years due to an increase of imports from China, which is now the world’s leading producer of crawfish and is also using a rice-based system. A number of species of crustaceans were introduced to China to create markets for aquaculture and because they are better adapted to growing in a rice field than native fish species. Rice-fish farming originated in China and is once again growing as the yields from Green Revolution practices used to grow rice are no longer increasing and resources, such as land and water, are becoming more limited. 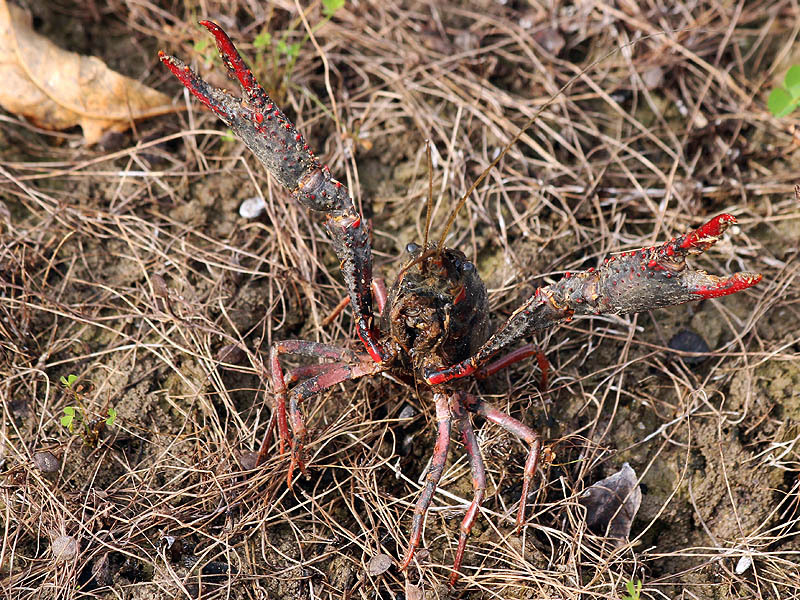 P. clarkii has also been introduced elsewhere for cultivation, such as Spain, where its success is attributable to its ability to colonise disturbed habitats that would be unsuitable for the native crayfish. P. clarkii is also marketed by biological supply companies for teaching and research. P. clarkii also exhibits different color morphs, including white, blue, and orange and are commonly sold in pet stores. The introduction of P. clarkii has also resulted in economic losses in some regions. In the Baixo Mondego region of Portugal, it caused a decrease in 6.3% of profits in rice fields. 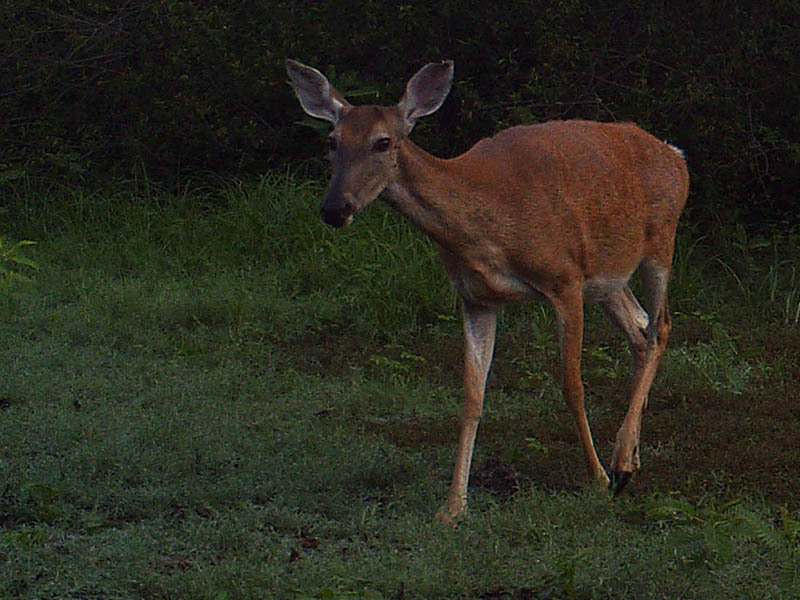 However, this was on a wet-seeded field. 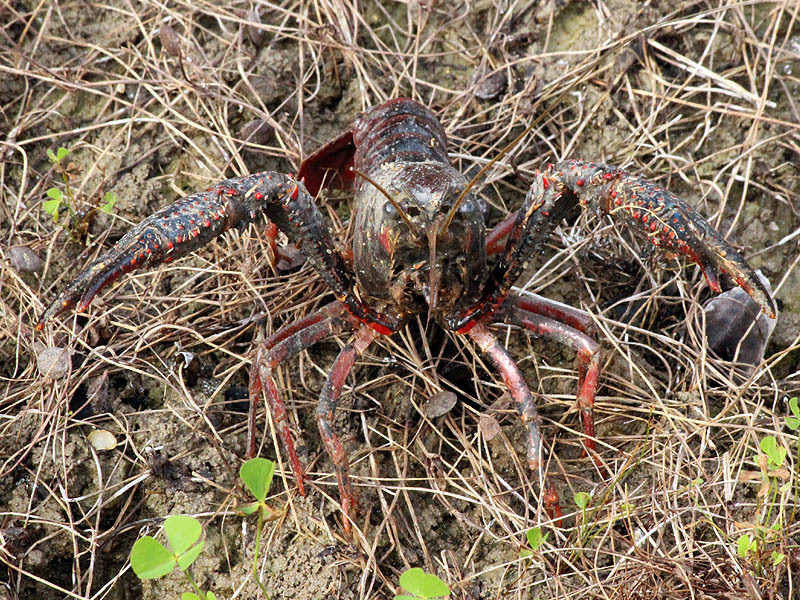 All negative effects of crawfish can be avoided if adult crawfish are separated from the seed and seedlings.